A drunk suspected be under the influence of drugs or alcohol crashed into one car, then into second car while attempting to flee the scene. Instead, he fled on foot, leaving behind a car that police believe may have been stolen. 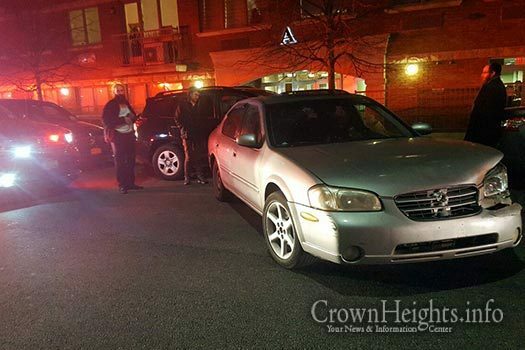 The incident occurred on Motzai Shabbos at around 9:00pm on Crown Street near Albany Avenue. 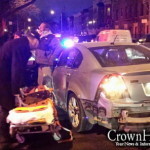 Two Jewish women in an SUV were suddenly rear-ended by a driver in a silver Nissan sedan. The driver attempted to reverse and flee but instead crashed into a parked vehicle. The driver then abandoned his efforts to flee in the vehicle and instead got out and fled on foot down towards Troy Avenue. 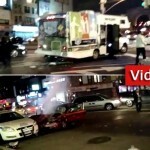 Hatzalah was called and treated the two women at the scene. Police were called and they determined that the out-of-state license plates on the car did not belong to the vehicle. Witnesses also said that the driver, a Black man, was visibly under the influence of either drugs or alcohol.